It’s been almost eight years since I visited Elqui, and the bright light and primeval, stunning scenery is still with me today. It’s the perfect place for star gazing because of the lack of light pollution, and the number of clear nights here. Alcohuaz is a small village high up in the Elqui Valley. 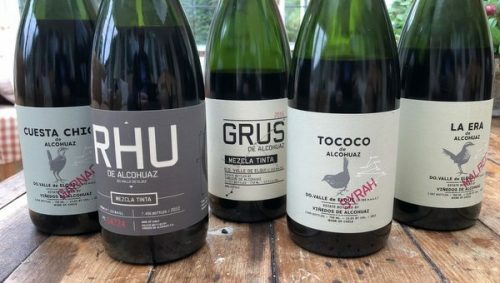 Alvaro Flano and his son Patricio bought land here and started planting vineyards as high up as 2200 metres, in collaboration with Juan Luis Huerta and his wife Helia Rojas, and winemaker Marcelo Retamal (from De Martino). The terroir here is extreme: practically desert, with granitic and volcanic soils with a high mineral content, and huge diurnal temperature swings. Winemaking is quite natural: foot treading and fermentation in granite lagares, then aging in concrete and large wood vessels.